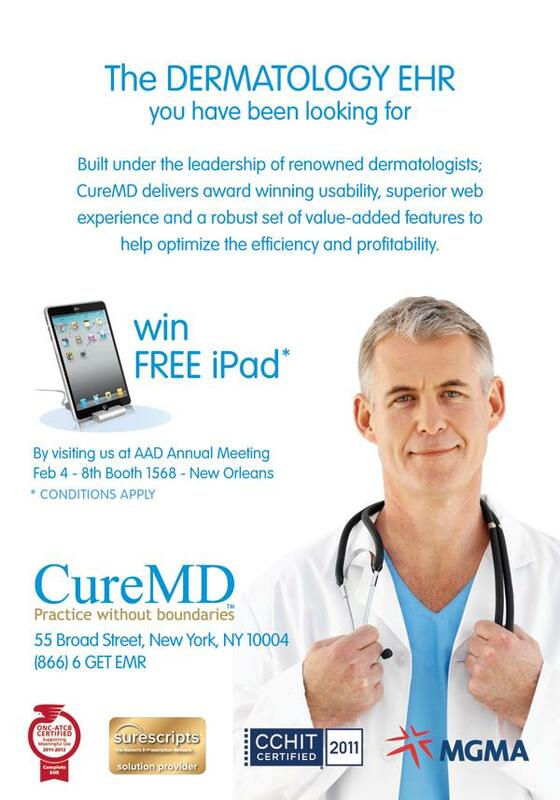 Celebrate the launch of CureMD latest Dermatology EMR including Billing and Scheduling by joining us at booth #1568 at AAD Annual Conference 2011 at New Orleans. Come and enter to win free iPad! We are looking forward to seeing you at CureMD Booth #1568!